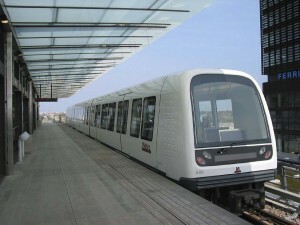 UITP is organising a 3-day training course on automated metros in Copenhagen, Denmark, on 23-25 May 2016. Trainers will be members of the UITP Observatory of Automated Metros. The course is intended for professionals directly involved in metro automation projects, staff from public transport operators or authorities and staff from the industry involved in the design and manufacturing for automated metros. It will also be adapted to professionals seeking a first introduction to automated metros. Participants will get an insight into implementation, operation and maintenance of automated metros. They will have the opportunity to apply learnings in workshops using business and project management case scenarios. One feature of the training will be RATP’s know-how for the conversion of a traditional metro line into an automated one. Participants will also get to learn about Copenhagen’s experience in building and running an automated metro and visit their control and maintenance centre.